What business does the GAA have in building a hotel? Isn't the Croke Park Hotel the GAA's? I suppose it goes hand in hand with the corporate events that take place in HQ during the year. I stand corrected but I think they own Gills pub too? Anyone know what the proposed Cusack Stand redevelopment might entail? And last year showed how far behind the peloton is. How? There has been pages and pages of articles, reports, graphs, etc posted on GAABOARD. You are always on here. How in the name of bejaysus did you miss all this? It's been like a sore thumb for half a decade now! I thought Mayo would win at least one of those finals. So did many people. Mayo made it look like there was competition . 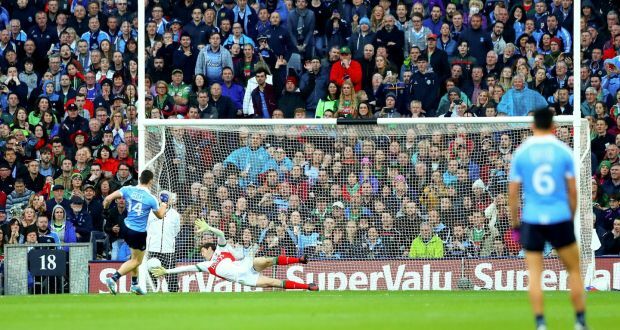 When Mayo fell away last year there was nobody. The Wexford 4 in a row ran out of gas . The Kerry 4 in a row were beaten by a very good team. Tipp had been improving before Lar Corbett killed the drive for 5. But now it looks like a procession for the Dubs. is in the country as a result of the economic system. They closed Tigh an Phoist in Corca Dhuibhne yesterday. Would be close to O Sé country. Football parishes all over are subject to the same forces. Dublin is like Paris St Germain at this stage. If rural Ireland is unsustainable then the present intercounty system in GAA is unsustainable so what’s easier to do? Write off the county of Dublin in its present state or write off the entire rest of Ireland? C'mon let's get the facts. You hardly just made that up. Did you? Honestly Hound I'd say you're barking up the wrong tree here. I know for a fact if my own club could get a coach for just €14k we'd have done it but there's no matching funds anywhere. As a county, Sligo has only 4 and one of them (hurling GPO) has to work a day a week in Leitrim. I'd guess here are clubs in Dublin who have more coaches. I don't think that's true. If you have the €14k, then the GAA gives you the other €14k. But no club outside Dublin has done this. What club outside Dublin has a coach funded? You look at this and you see different lives.